Take in the views from a garden and make use of amenities such as complimentary wireless Internet access and babysitting/childcare. Additional features at this hotel include a television in a common area, tour/ticket assistance, and a reception hall. When you stay at Alexandra Plaza in Riccione, you'll be on the beach, within a 10-minute drive of Misano World Circuit Marco Simoncelli and Aquafan. This 4-star hotel is 3.8 mi (6 km) from Rimini Beach and 9.1 mi (14.6 km) from Arch of Augustus. Make yourself at home in one of the 30 air-conditioned guestrooms. Rooms have private balconies. Complimentary wireless Internet access is available to keep you connected. Bathrooms have showers and hair dryers. Enjoy a meal at the restaurant, or stay in and take advantage of the hotel's room service (during limited hours). Quench your thirst with your favorite drink at the bar/lounge. Buffet breakfasts are available daily from 7:30 AM to 10:30 AM for a fee. Grab a bite to eat at the hotel's restaurant, which features a bar, or stay in and take advantage of the 24-hour room service. A complimentary buffet breakfast is served daily from 8 AM to 10 AM. Grab a bite to eat at the hotel's restaurant, which features a bar, or stay in and take advantage of the room service (during limited hours). A complimentary continental breakfast is served daily from 7:30 AM to 9:30 AM. 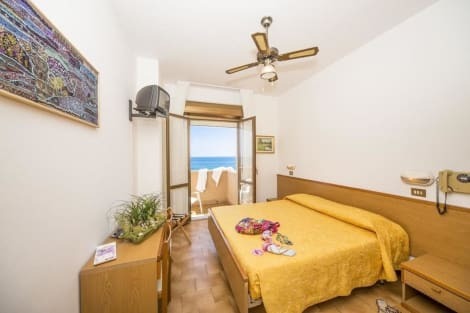 lastminute.com has a fantastic range of hotels in Misano Adriatico, with everything from cheap hotels to luxurious five star accommodation available. We like to live up to our last minute name so remember you can book any one of our excellent Misano Adriatico hotels up until midnight and stay the same night.